Mainstays No Tools End Tables (Pack of 2) Only $12.24! That’s Only $6.12 Each! 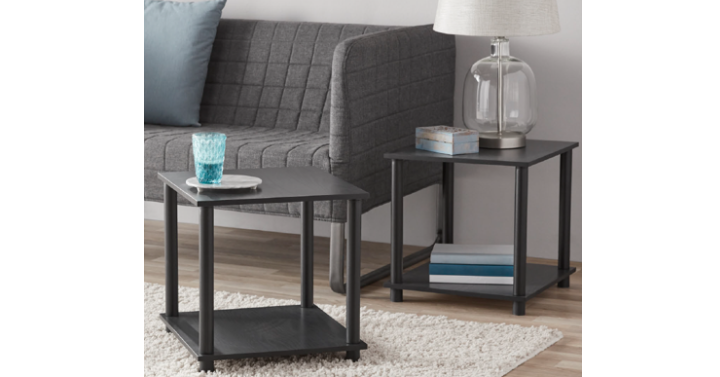 Walmart has the Mainstays No Tools End Tables (Pack of 2) for only $12.24! That’s Only $6.12 each which is a steal of a deal for new end tables. It looks like there are other colors, but the black are the cheapest options. Plus, choose in-store pickup to save on shipping.